As a manager, when you’re checking someone else’s writing, you’re checking for grammar, facts and brand consistency. If you want the piece written your way, then you should write it yourself. Swathes of red pen is demoralising for any writer. If you’re doing that to a team member’s work – or even totally rewriting – then you’re not doing your job. If you’re not clear in your brief, you cannot blame the writer for missing the mark. If you have a corporate style guide, you should also make that available to the writer. Barring grammatical errors or typos, the rest comes down to style. And that’s where you need to let go. Or reiterate the brief. Your personal style or preference for certain words is simply that – personal. Use your role as editor and proof-reader to check for flow and accuracy. As a manager you want to support and develop your staff. Over-zealous editing can counter this aim. 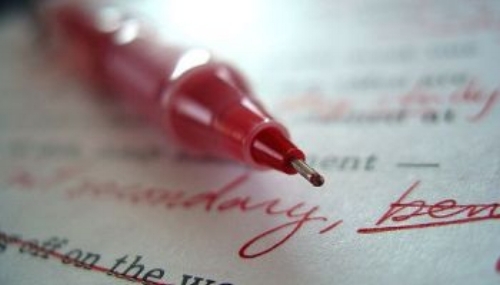 Next time you’re reaching for the red pen to slash and rewrite, stop and reconsider. Are you checking the writing as you should be?